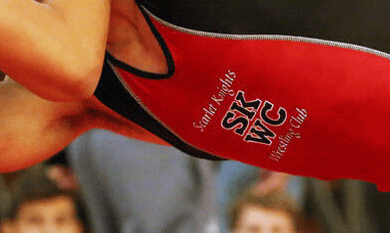 The Open Mat names Anthony Ashnault "Wrestler of the Week" for December 3, 2018. Teammate Nick Suriano earns #7 top performance for same week. This week’s college wrestler of the week, Anthony Ashnault earns the honor after coming away with a title in one of the most challenging weight classes at the Cliff Keen Las Vegas Invitational. During his first three matches of the tournament at 149 lbs, Ashnault had a first-period pin, a decision, and an 18-2 technical fall. That set the stage for a semifinal meeting with ninth-ranked Mitch Finesilver (Duke). A takedown in the first period, then an escape and a second takedown provided the Scarlet Knight with a 5-0 lead, and he would never look back. Three more takedowns and a riding time point in the final frame gave Anthony a 12-4 win and a berth in the finals. Anthony’s opponent in the championship match was second-ranked Micah Jordan (Ohio State), a four-time finalist at the event, who was seeking his third title. Like his previous matches, Ashnault wasted no time in jumping out to an early lead. After a takedown 30 second into the match, Anthony was able to add two sets of four-point nearfalls, to take a commanding 10-0 lead into the second period. 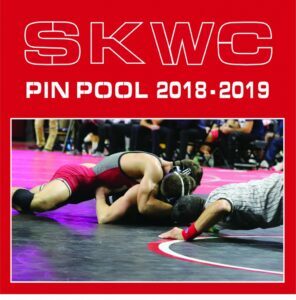 Jordan would rally late to make the final score 14-10; however, Ashnault was able to capture his title making him and 133lb-er Nick Suriano, the first CKLV champions in school history. All week fans anticipated a possible Cliff Keen Las Vegas Invitational final matchup between NCAA finalists Nick Suriano and Stevan Micic (Michigan). That matchup will have to wait until February 17th, when Michigan travels to Rutgers, as Micic was a late scratch. No matter for Suriano who still steamrolled a deep field at 133 lbs. Suriano’s tournament started with back-to-back tech falls, before a 7-2 decision victory over 18th ranked Korbin Myers (Virginia Tech) in the quarters. Nick then advanced to the finals after getting by eighth-ranked John Erneste (Missouri). An 11-3 major decision in the finals over Pittsburgh freshman Micky Phillipi gave Suriano the title, which was the first ever at this event by a Rutgers wrestler.